Australian and New Zealand special forces are renowned for their bravery, their skill and their sense of duty - so much so that World War II Allied commanders turned to ANZAC soldiers, sailors and airmen to carry out the most dangerous and virtually impossible missions behind enemy lines. Paddling canoes 4,000 kilometres to attack enemy ships in Singapore; lightning raids on Rommel's forces in the deserts of North Africa. Flying bombers at tree-top level deep into Nazi Germany to destroy vital targets; rescuing sultans and future US presidents from under the noses of the Japanese and playing crucial roles in the greatest commando raid of the war at St Nazaire - the Aussies and Kiwis were there. The special forces showed incredible bravery in the face of overwhelming odds. They were determined to complete their missions. Often alone and far behind enemy lines, they demonstrated resourcefulness, spirit and a humanity that inspired others to follow them. 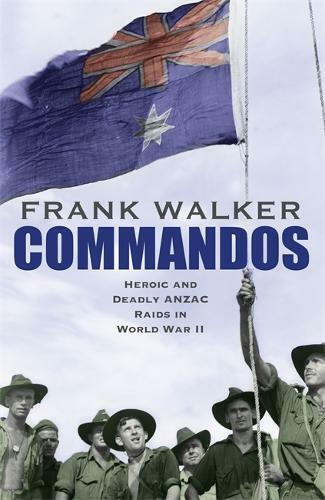 Frank Walker, author of bestselling books on the Vietnam War and the British atomic tests in Australia, brings to life the amazing exploits and extraordinary stories of this select band of heroes.